QCC is a new technology using Encrypted Algorithm and Image Science to create digital micro patterns which can be merged into graphic design of packaging or products. micro dot-matrix pattern is a random structure pattern created by our core technology. 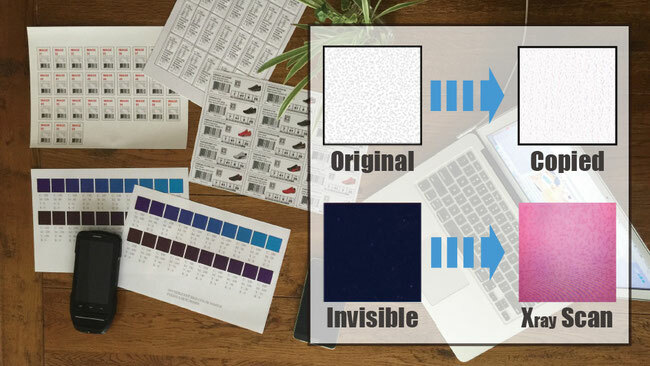 The pattern can be printed on any blank area of graphic design without attracting attention or even printed invisibly for the highest security requirement. 10 billion x 10 billion patterns available can assign to every single item with a unique pattern. The fact is the anti-counterfeit feature of a passport or even money possibly could be copied. That’s why we never boast our patterns cannot be copied although in our case it would require very high technology to do so. We can create more than 10 billion x 10 billion patterns in different structures in a unique pattern to each other. Therefore, although any single pattern can be copied, with some difficulties, the criminal would have the almost impossible task of copying all patterns from every single item? Besides, you also can use invisible patterns for the higher security requirements. Flexible Application makes it possible to print on most of traditional package surfaces; e.g. label, cardboard or film etc. You can also print on the product itself directly through INKJET printers; especially for automatic production lines. Apart from consumer products, you even can use laser to carve the pattern on the metal for industrial components as a tracing mark which is almost impossible to counterfeit. Local QC reporting can be collected in real time with location info. It is unnecessary to fill annoying paper reports or carry heavy laptops to the job site; just a smartphone and Qcheck app, then your QC inspectors can record all the data into QCC wERP immediately after scanning the QCC pattern on the item. You can either pay to use QCC wERP (adjustable to your requirements) or we can divert scanned data through EDI to your own ERP as a free service. 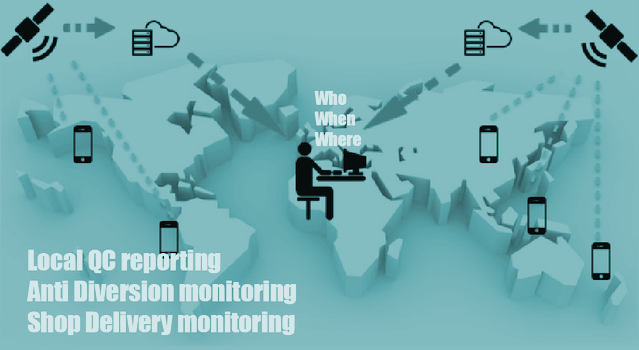 Anti Diversion monitoring can be trackable based on your logistics/distribution policy. You can assign territorial restrictions to each pattern ID in QCC wERP to manage & monitor which warehouse/distributor moves goods inwards, and outwards. Shop Delivery monitoring can be done through an extremely expensive RFID system if you would like to monitor each item precisely; or you can use our QCC patterns with all its security advantages. The only thing we can’t offer is frequency scan.